Smartwatches used to seem like a futuristic novelty item, but now they’re being more widely accepted as a brilliant productivity tool, promoting fitness and keeping us connected when we want to leave our phone tucked away. We’ve rounded-up some of the most popular smartwatches, so you can see them all in one spot and ponder which look – and features – might make your life a little easier. You might have already spotted this fitness focussed smartwatch on the telly, and it truly is as fab as it appears to be. Designed around the pillars of fitness, health and lifestyle the Versa tracks steps, heart rate and sleep, as well as loading workouts and storing/playing music. This watch also allows you to use smart payment systems and the battery life is super impressive at a whopping 4+ days. The Versa also syncs with over 200 iOS, Android and Windows devices. 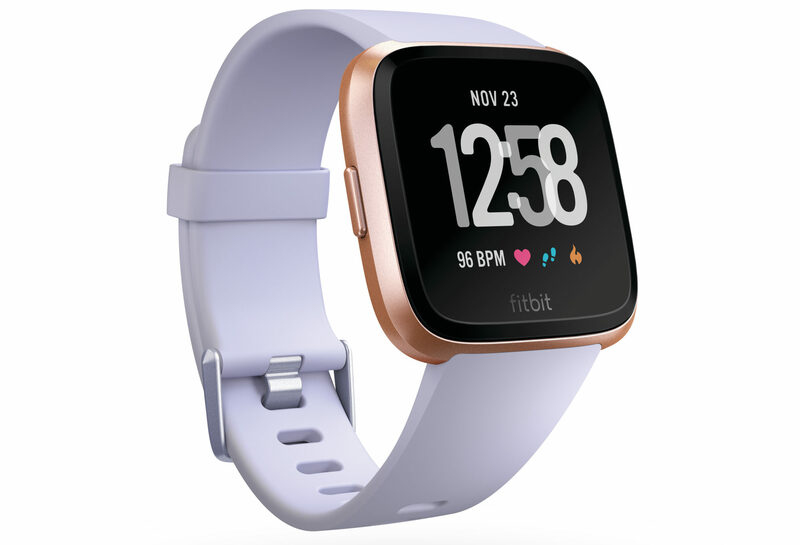 The Fitbit Versa retails for $299.95. A kid’s version – the Fitbit Ace – sells for $129.95. 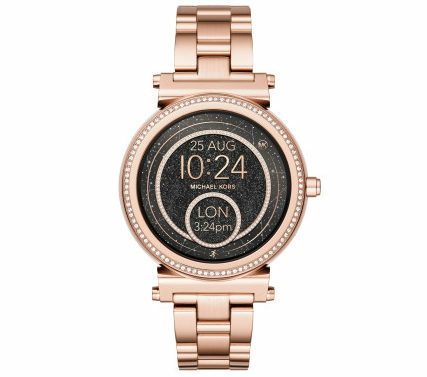 A less sporty-looking, more fashion-forward choice for the mum who wants smartwatch functionality, without the clunky silhouette. Fossil’s Q Venture is a fitness tracker and also receives notifications for social media, texts, emails, calendar alerts and alarms. You can access Google, Google Maps and listen to music with this model and the bands are interchangeable, in case you want to mix up your look! Battery life on this watch is around 24 hours, according to the folk at Fossil and it’s Android and iOS compatible. 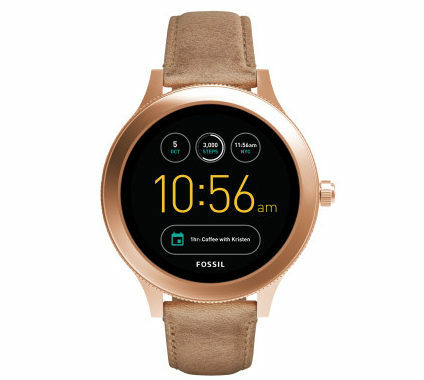 The Fossil Q Venture retails for $429. This stylish smartwatch has a clever face that switches from a day to night look. It’s a fitness tracker, and also features Google access, music, social media/app notifications and text and email alerts. This watch is Android and iOS compatible and has a battery life of around 24 hours. Michael Kors’ gorgeous Sofie Smartwatch retails at $599. The most famous smartwatch of them all now comes in a Series 3 model, featuring all your favourite social media, fitness and music apps (plus others too!) in a sporty, swim proof casting. 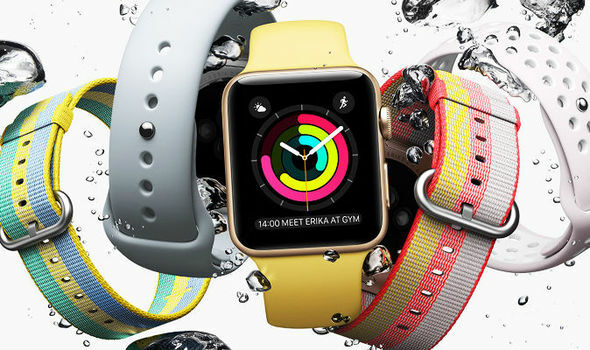 This Apple Watch is faster than its predecessors, as well as more intuitive and it works alongside your iPhone to keep you connected – and tracked – in style! The Series 3 Apple Watch retails for $459. Garmin’s stylish Vivomove HR looks like a regular timepiece but features the fancy features of a smartwatch. You can link it to your phone, plus listen to music, receive messages and track your steps, distance and heart rate. You can also tap into a bunch of other onboard fitness monitoring tools. Battery life on this watch is between 5 days and two weeks! The Garmin Vivomove HR retails for $299.